Styled with darling sweater and nadine pant . 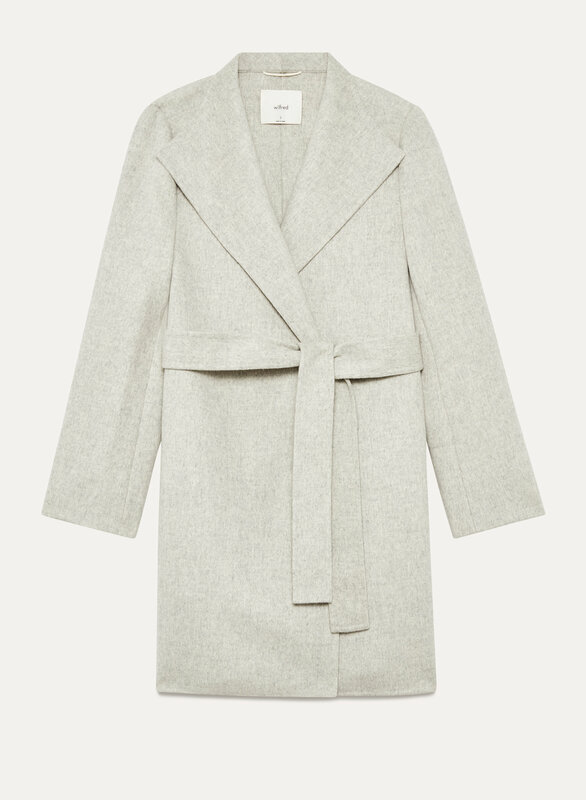 This drapey yet softly structured coat is made from warm, lightweight Italian wool and cashmere. 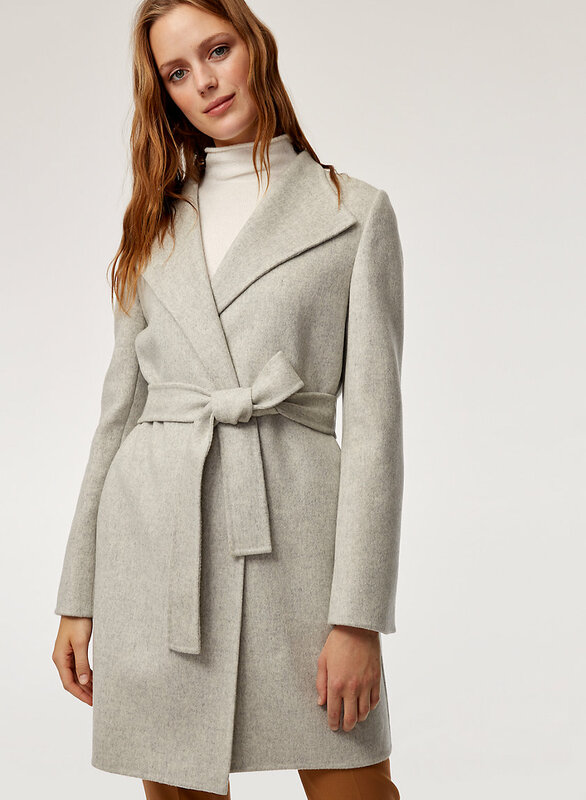 It has a funnel neck, invisible inseam pockets and asymmetric closure wraps that are secured with a belt. A bemberg-cotton lining is breathable and helps make the the Valmont easy to slip on and off. Gorgeous material and quality! Love the straight sophisticated style! 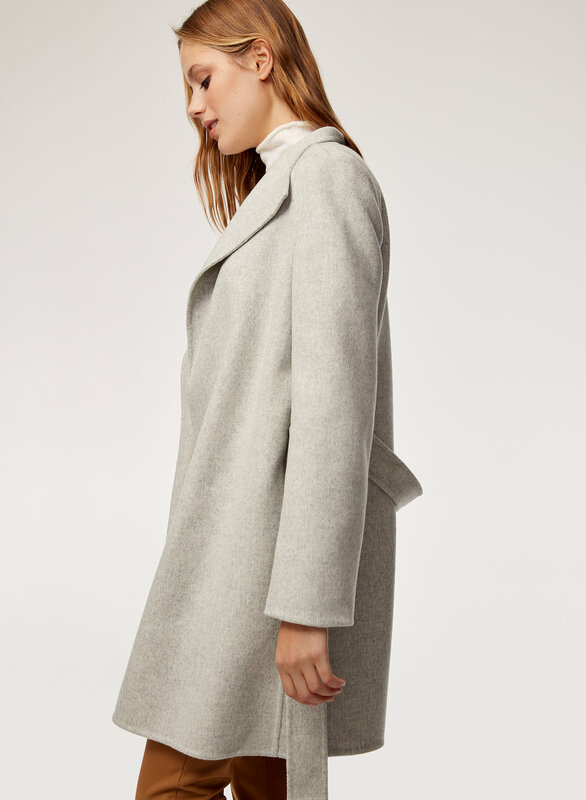 I bought the wool coat online during a sale and had to go in store for a smaller size because it does run big. Typically I’m a M in coats, but went in and exchanged for an XS. 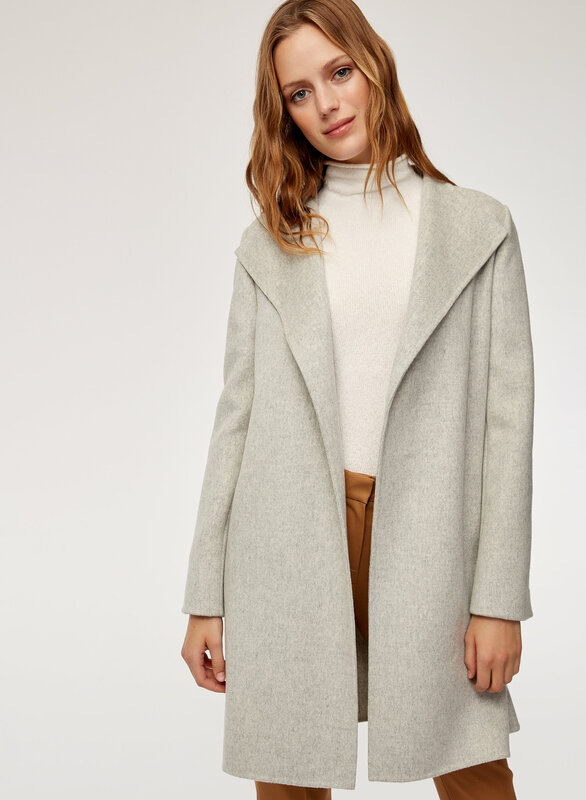 I do really love the style and look of this item but after wearing it outside on a cold day/night I noticed it wasn’t as warm as I’d like a woal coat to be- therefore I wouldn’t pay full price for this and be content. Otherwise, it’s a good buy! I'm not happy with this coat. I'm not sure if it is just the one I received but my coat is huge in the shoulders on me and I ordered the xxs. It seems like it fits more like a small. I'm not sure about the quality either but like the style. I ordered online after trying in store and unfortunately took the tags off or I would have returned.